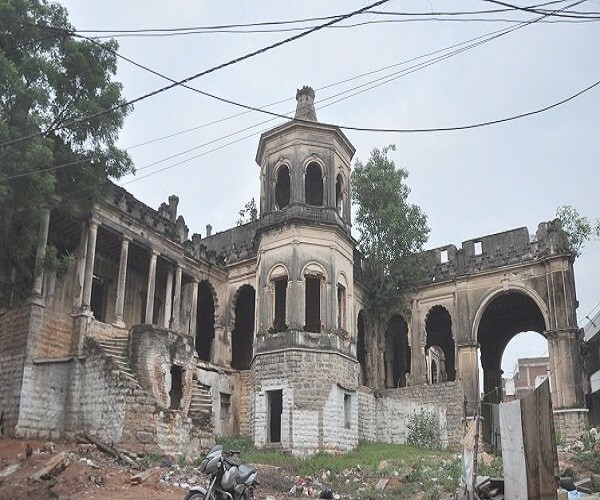 Mahboob Mansion which was the home of Sardar Begum now languishes in a quiet corner of Malakpet. Among the old areas of the city is the old mohalla of Malakpet which was a jagir bestowed upon Malik Yakut, a loyal official who served the king Abdullah Qutb Shah with great honesty and sincerity. Malakpet is situated near Chanchalguda, adjacent to Kaladera and Dabirpur. As the area flourished, the nearby locality also came to be called Yakutpura in his name. In the early Asaf Jahi times, it was a village where Iranian relatives of Mir Alam Bahadur (the Prime Minister to the second Nizam of Hyderabad) came and settled. Khairunnisa Begum, the lady in the life of James Kirkpatrick – the then British Resident, belonged to this area. Since Malakpet was not densely populated, the racecourse was built here. The Mahboob Mansion built by Hassan Bin Abdullah Nawaz Jung is also located here. But like many buildings of the time, this too would end up under the ownership of the sixth Nizam, Mir Nawab Mahboob Ali Khan who took a liking to it and purchased it from Hassan Bin Abdullah Nawaz Jung and extended the bungalow to a beautiful palace from where the racecourse was easily visible. It also became a resting place for a few days each time for the royals on way to, or from, hunting expeditions. Mahboob MansionMahboob Mansion was home to a favourite Begum of the Nizam, Sardar Begum, who, it is said looked on to the racecourse through curtains made out of real gold thread. It is said that the sheen from the gold, prevented any outsider from being able to see inside. Today, the palace has deteriorated into a ruin, and is a glaring example of how heritage has been ignored and destroyed. The lands around it have been converted into a wheat market and residential areas. The area is now known as old Malakpet. Since the Nizam frequented the area, a small platoon was stationed here, and many officials of the court also built their mansions and havelis here. The area thus acquired the name of ‘Paltan’, which remains to this day. In the downtown Kaladera area stands an old educational Institution building, the ‘Madaras-e-aizza’, made out of red sandstone, which is very much like a palace in appearance, and is spread over an area of about eight acres. It now falls under the Anwar-ul-uloom Educational Society, which is working for the cause of education and training of the Muslim society at large. The Anwar-ul-uloom College of Education is located here. Recently, the ‘Nawab Shah Alam Khan Engineering College’ also became functional. 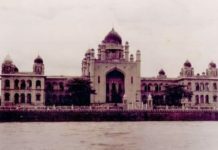 During the seventh Nizam Osman Ali Khan time, a special area called Araish-e-Baldiya (City improvement board) was developed on both sides of the Malakpet railway station, which comprised a few hundred houses. The Nizam allotted the houses to people who swore to forsake the use of any kind of alcohol or drugs. The settlement thus acquired the name Tark-e-muskiraat (Tark – to forsake, muskiraat- drugs and alcohol). It was an admirable step taken by the Nizam in the interest of the people. Today, this area extends up to Dilsukhnagar and is known as new Malakpet. 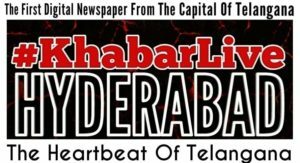 The colonies adjoining it are Salimnagar, Akbar Bagh, Andhra colony established after the formation of the AP state in 1956, Professors colony, Moosarambagh, etc. Previous articleHyderabad’s ‘One-By-Two Pauna’: Where Have All The ‘Irani Cafes’ Gone? 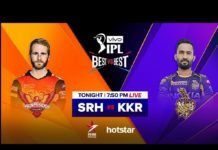 The ‘TTD Faux Pas’ Erupts A New ‘Political Instability’ in AP!